Great movie to watch on DVD. I enjoyed the movie but was annoyed by so many details. Maybe I was looking for errors in filming when I saw the bad of peas wrapped around Lady Gaga's hand disappear or when Sam Elliot moved between scenes. It was annoying. 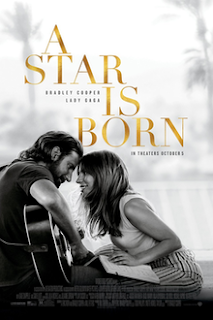 Bradley Cooper tried too hard to maintain that Kris Kristofferson gravelly voice. It was forced and at times he forgot to gravel. Lady Gaga acted as well as she did in American Horror Story, not very well. She has incredible talent but acting is not one of them. Her rise to fame was fast, too fast, and cheesy. But then again, what can you do when attempting to cram too much into 2 hours? I loved the music except for the cheesy hip hop songs by Gaga. "Maybe it's time" was my favorite although I think he sang it 3 times without the gravelly voice. It was a great movie for a night at home on DVD.